Harbaugh’s Cafe has been in business since 2000. 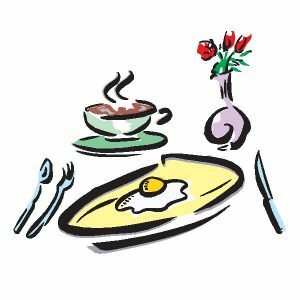 This restaurant is the place in Carbondale, Illinois for breakfast and lunch. From their delicious Biscuits and Gravy, to the well known Corned Beef Hash. Owner, Laura Harbaugh supports local artists, so you will want to stop in and see some of the local art work that is displayed here. 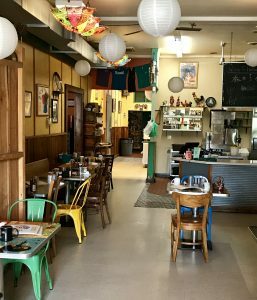 College Students and Locals love this restaurant, and have for 18 years! 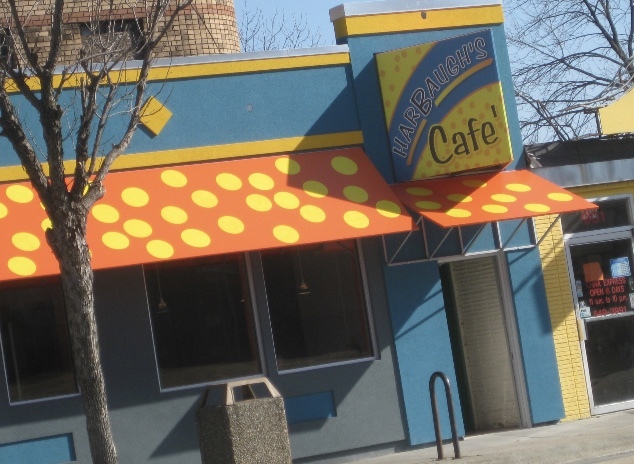 Stop in and see what all the hype is about at Harbaugh’s Cafe in Carbondale, Illinois. Monday- 7:00 A.M.- 2:00 P.M.
Tuesday- 7:00 A.M.- 2:00 P.M.
Wednesday- 7:00 A.M.- 2:00 P.M.
Thursday- 7:00 A.M.- 2:00 P.M.
Friday- 7:00 A.M.- 2:00 P.M.
Saturday- 7:00 A.M.- 2:00 P.M.
Sunday- 8:00 A.M.- 2:00 P.M.